This book was updated by Doug Ball, a major scholar on the subject, it is 70 pages, well illustrated, and includes all 7 issues of the Confederacy. 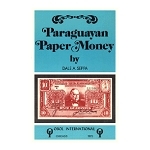 It contains errors, counterfeits, vignettes, value guides, quantity issued, and is heavily illustrated. Curious Currency by Robert D. Leonard Jr.